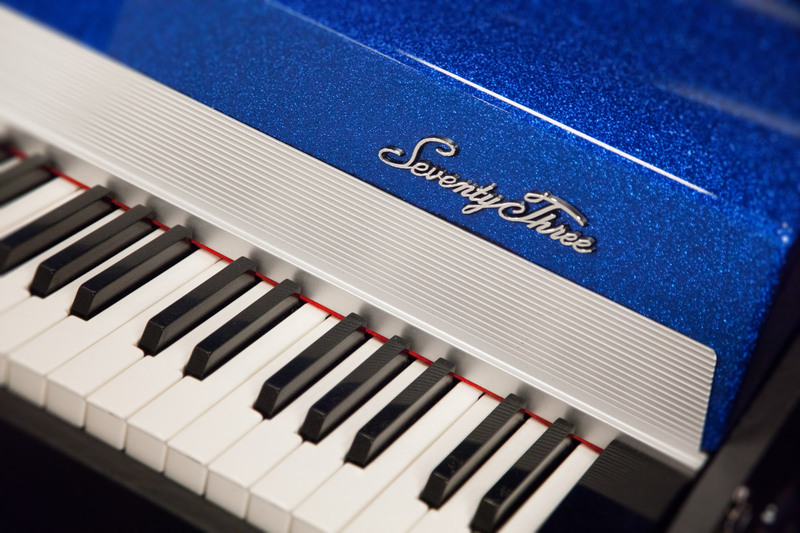 After many years of searching, we are proud to present one of the rarest and most sought-after electric piano sounds in the world - what has become widely known as the “E” Rhodes® sound. While electric piano enthusiasts will be quick to note that there were no such “E” models produced by the Rhodes® company, this term “E Rhodes” amongst professional keyboardists is synonymous with describing that certain “LA” sound which were produced by some incredibly rare, highly-modified electric pianos that have an extraordinary tone due entirely to the wizardry of Eddy Reynolds – a brilliant keyboard tech who performed his magic on a select few mid-1970s Suitcase Rhodes® pianos in Los Angeles. These special instruments are the original source of that incredible “L.A. Rhodes®” sound which appeared on hundreds of hit records* – an elusive tone for standard Rhodes® instruments, since it cannot be achieved simply by the use of external effects. The extensive modifications Eddy made to the action, voicing and particularly his special pre-amp circuits yielded a fat, bright, and super-even sound, creating true sonic masterpieces that to this day have never been matched by any commercially produced electric pianos. We were fortunate enough to get our hands on one of these authentic, extremely rare and highly coveted instruments and our award-winning sound development team at Spectrasonics took tremendous care to reproduce its gorgeous mojo in Keyscape. The story of the “E” name comes from one of these instruments Eddy modified that was often rented from Leeds Musical Instrument Rentals during the heyday of record production in the 1980s. The top producers knew which one to rent because it was marked with a big “E” on the case. This is not the instrument we sampled for Keyscape, but ours was made at the same time and has the identical circuitry and voicing modifications that Eddy did to that specific Leeds instrument. As the “E” legend has grown on the Internet over the years, what’s not widely known is that Eddy made several of these identically modified instruments after various L.A. session players requested the same modifications. Our instrument was a 1974 Suitcase that Eddy extensively modified and is serial # 54247-044074. These rare customized instruments each have that same sonic magic and were used on hundreds of hit records! 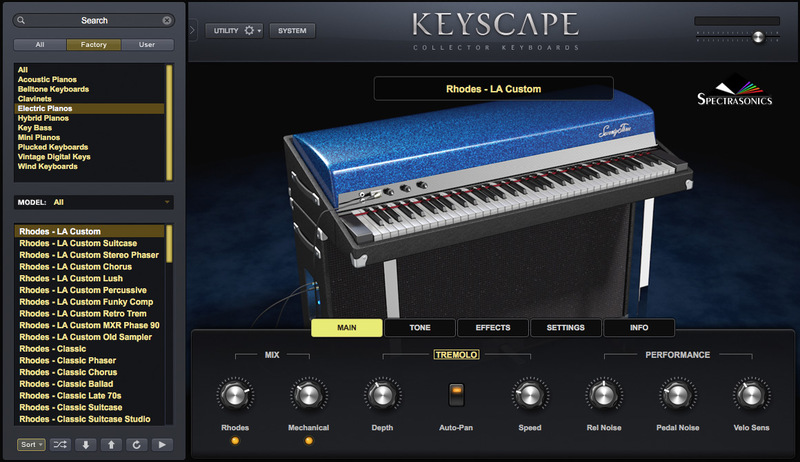 *NOTE - This particular L.A. Rhodes® sound is often mistakenly associated with the more well-known “Dyno-My”® modified Rhodes® instruments, since those were also popular and were more widely available. However, Dynos have a much edgier color than the instruments modified by Eddy Reynolds, which are widely considered by Rhodes connoisseurs as the most desirable blend of warmth, attack, and brilliance.